One of the most important lessons that every trader needs to learn is to trade a strategy that fits your personality. It happens all the time that people end up in conflict with their own trading strategy. I used to think that I should always trade the most profitable strategy – but it does not work that way. I found myself making excuses to close trades early or not to open them at all. I know now that I can’t trade a strategy that is likely to have a large drawdown, or go too long without winning trades. Mean reversion strategies suit high energy people, traders who want consistent regular wins and can cope with the occasional larger loss. 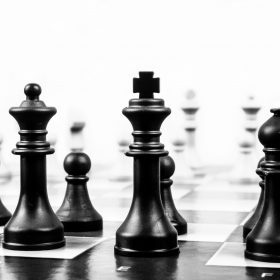 In this article, I show a strategy that you can use to start trading mean reversion today. This video explain the strategy further and gives lots more information and optimization ideas. 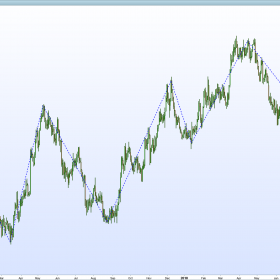 What is Mean Reversion and Why Should We Trade It? The markets have a natural rhythm of action and reaction. They are constantly striving to find the price that will attract the most buyers and sellers. As new information filters into the markets, prices change, support levels are tested and convictions are tried. At some point price momentum builds up. This could be triggered by anything: a big news story, strained valuations or a stop run. 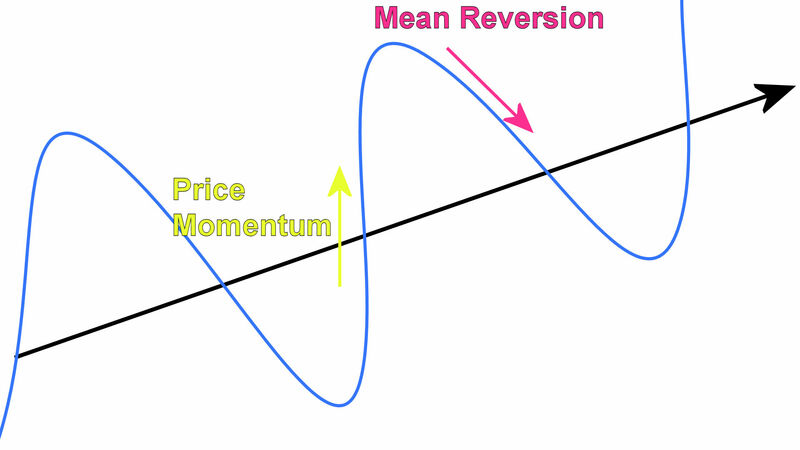 But as the price becomes stretched, momentum slows, profits are taken and we often get mean reversion. Mean reversion often happens quickly as the market adjusts to the abrupt change in direction. 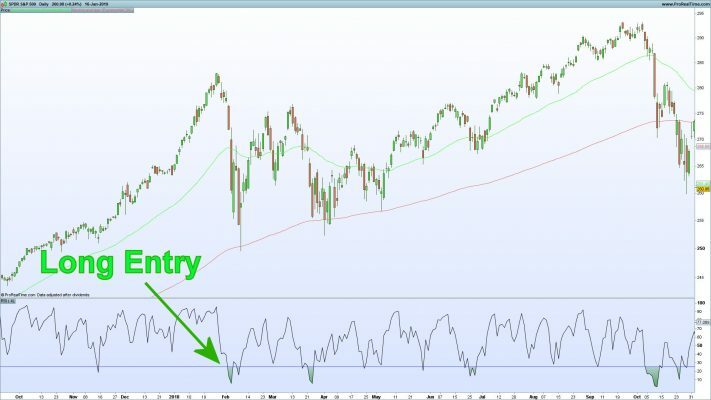 The RSI indicator is a good way to identify mean reversion. The indicator was developed by the great market technician J. Welles Wilder – who also created the PSAR, ADX and many others. The RSI uses only the closing price of each bar. 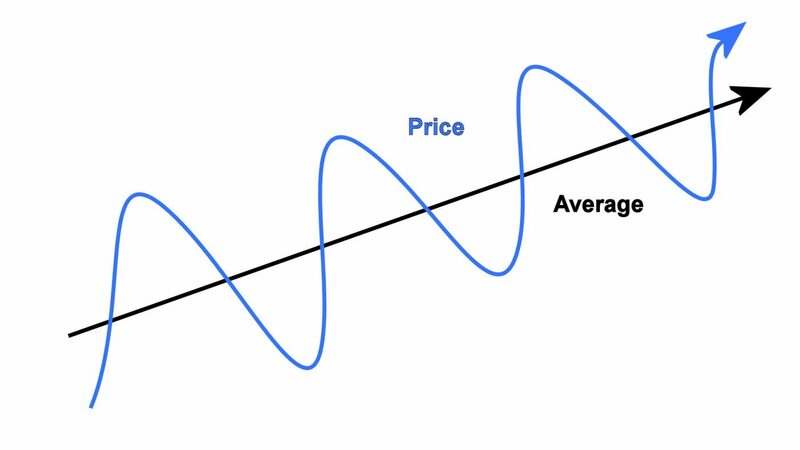 It is calculated based on the average of up and down price moves over a set period. The RSI does not take into account the extremes (high and low prices) and tends to be fairly slow moving. However, in this strategy, I am using a short period RSI as recommended by Larry Connors. The short period RSI behaves quite differently, and allows us to quickly identify mean reversion opportunities. Larry Connors, famous for creating the Connors RSI indicator, has a new book out: Buy the Fear, Sell the Greed: 7 Behavioral Quant Strategies for Traders. Larry is a great thinker about the markets and his ideas about the markets are well worth reading. One of the things that he identifies is the behavioural basis of the markets. Despite all the advances in speed and technology, the financial markets are still controlled by human emotions. These human emotions can cause big market moves and so provide trading opportunities. My testing is based on the SPY ETF which tracks the performance of the S&P 500 index, but you could easily apply the same principle to individual stocks. I use the daily timeframe. What I love about this strategy is it follows psychological principles. I’m a big fan of the work of Daniel Kahneman. Winner of the Nobel Prize for Economics and one of the most influential thinkers of recent times. Understanding the role of cognitive bias in ourselves and the markets is hugely important for traders. 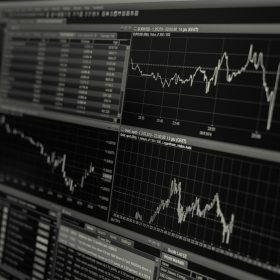 I wrote an article about this: Improve Your Trading by Changing Your Thinking. In this strategy, I use a long-term filter to identify where the trend is bullish or bearish. This strategy takes advantage of the times when the market is fearful. But fear in a Bull Market is different to fear in a Bear Market. Fear in a Bull Market is usually shrugged off quickly. Whereas fear in Bear Market can be much more extreme and is more dangerous to trade using mean reversion. I used a Tradinformed Backtest Model. These models are built in Excel and are a way to prove your trading ideas, become more profitable and relax and enjoy your trading. In these results I show two different scenarios with different RSI values. You can see me showing more in the video above. These are the inputs that I used for each scenario. Leave a comment below to tell me what you think about the strategy or what else you would like me to test. This entry was posted in Trading Strategies and tagged Mean Reversion, RSI. Hi Mark, I think the drawdown is so little you could show results trading UPRO or TQQQ … Drawdown would be something like 36%. Still acceptable.. Thanks for the comment Marco, I agree that UPRO or similar would increase the returns. I’m going to do some more work on this and try some different markets.